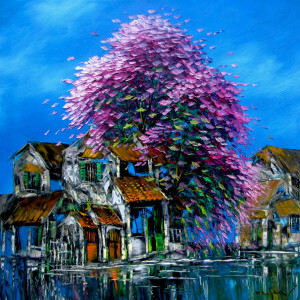 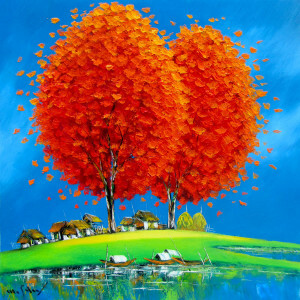 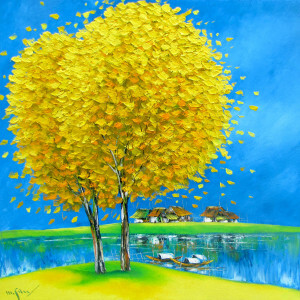 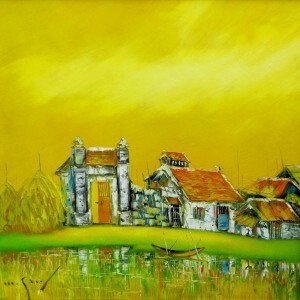 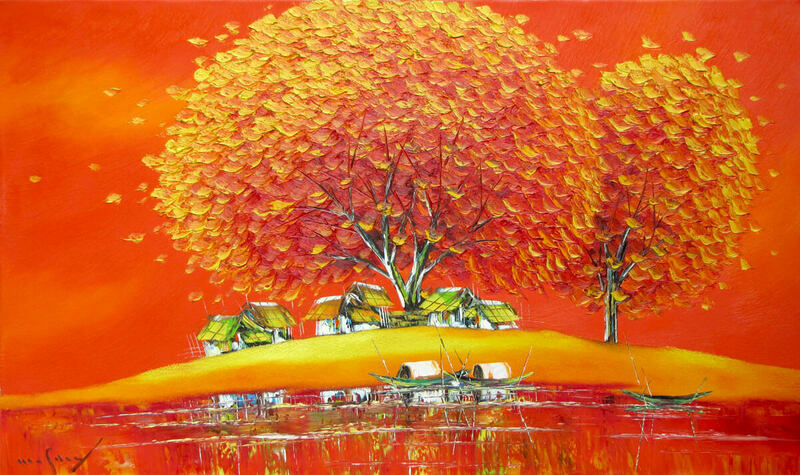 In the Summer is a vivid painting by Minh Son in his characteristic style with a dominating tree and a waterbody in the forefront with humble hutments under a blazing sky. 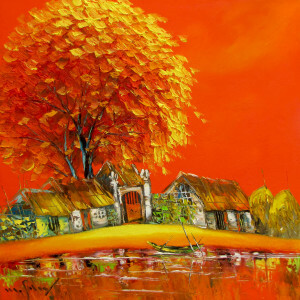 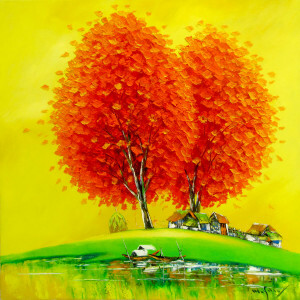 The orange color used in this oil on canvas helps in reinforcing the feelings of warmth and happiness associated with summers. 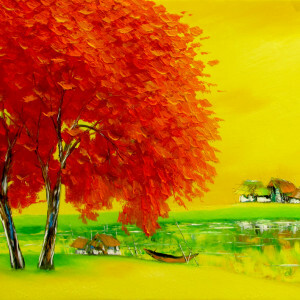 A beautiful landscape painting!